Greetings from the Thomas Jefferson! Now that I am onboard, I am trying to learn as much as possible. The TJ is a busy place and there are lots of jobs to be done. 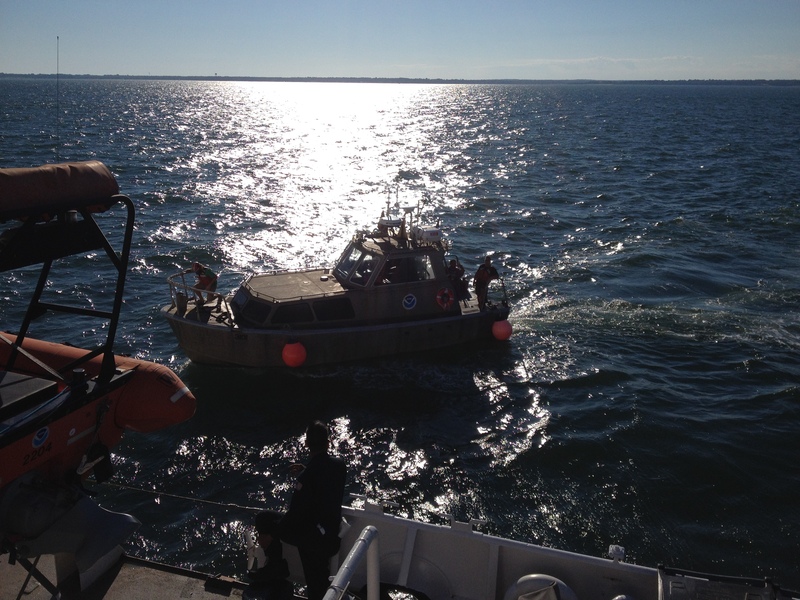 Basically there are separate groups working in different ways, like the Wardroom (which means all the officers on board), Engineering, Deck, Survey and Stewards, but everyone always comes together to work as a team.When one of the small launches returned to the ship late yesterday afternoon, everyone worked together to get it back on board safely. 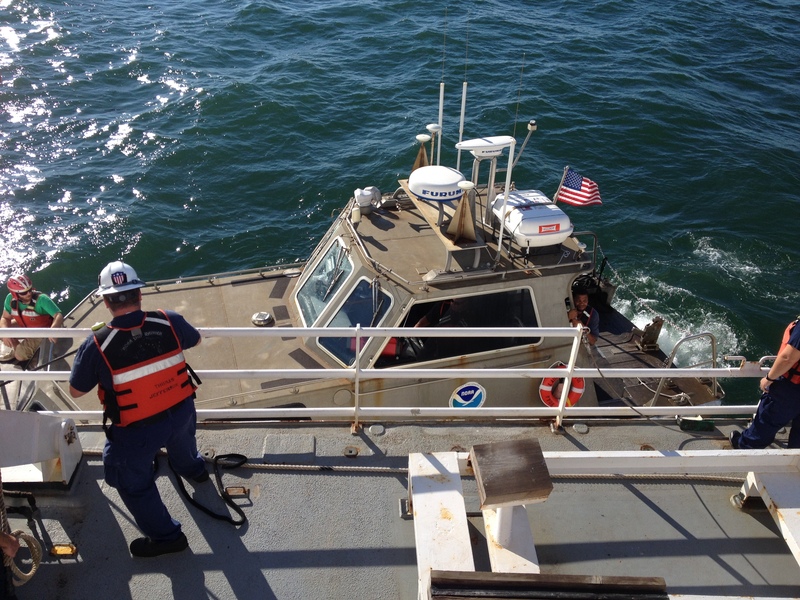 The launch had been surveying and now that data had to be processed in the survey dept. In the survey dept. there are different scientists working on different projects. 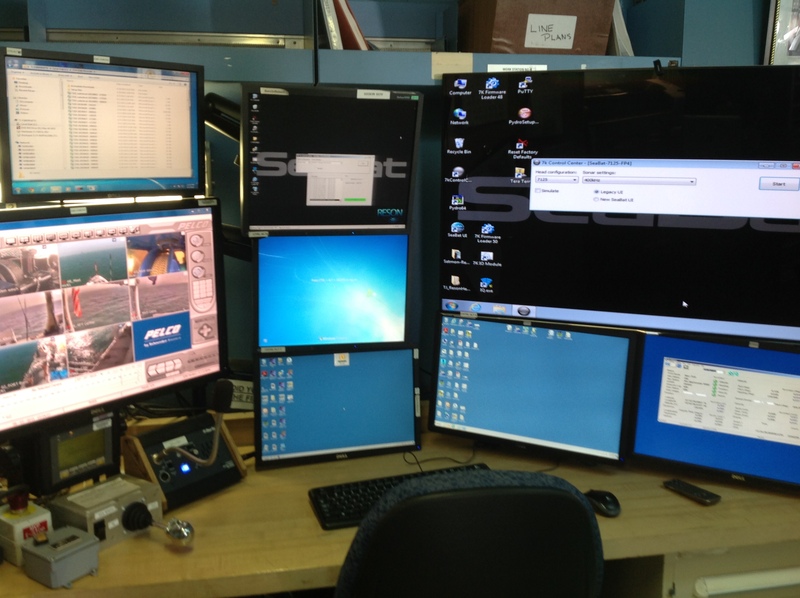 This is a station for “Data Acquisition” so there are multiple computers and cameras sharing images, data and information from around the ship and from the sonars. 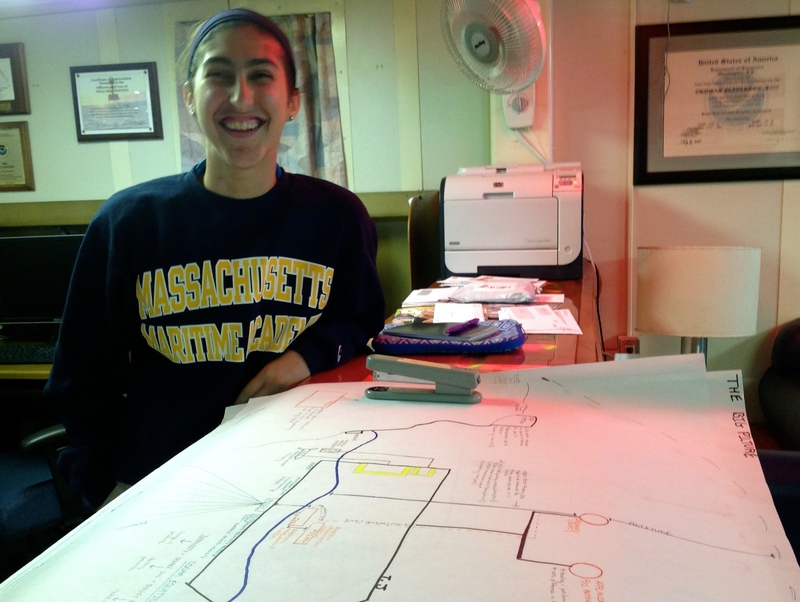 Survey Technician Stephanie Stabile created this “big picture” diagram, which explains how the different scanning tools communicate with each other to provide the most accurate scans of the ocean floor. 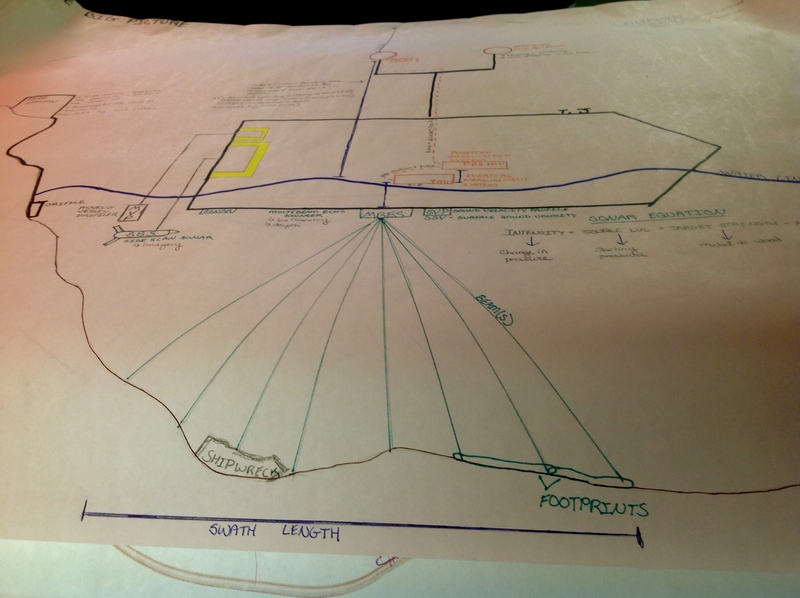 ST Stabile explains her diagram to me. 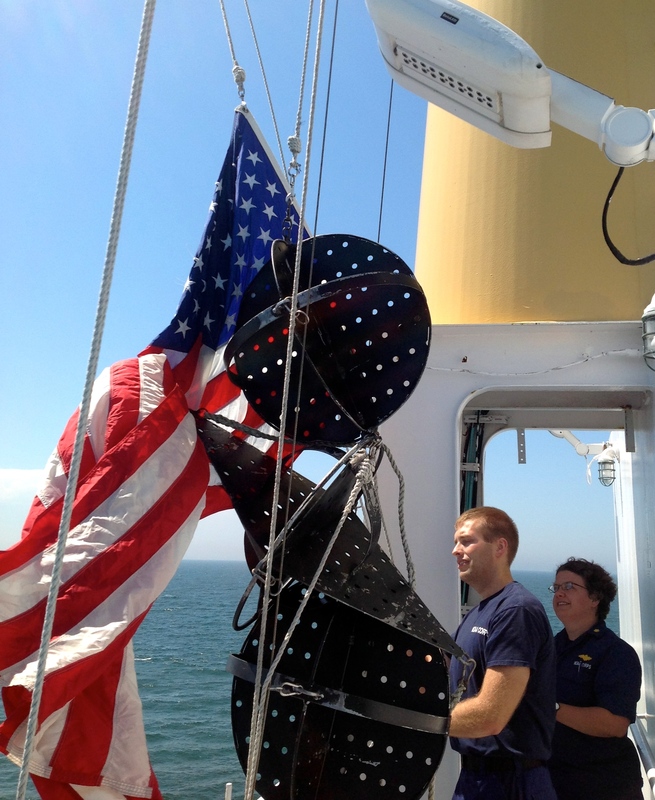 This picture shows how a survey ship uses its multi-beam sonar. I also had a chance to visit the bridge today as the anchor was lifted. I learned how orders are given clearly and information communicated accurately. Lieutenant Commander Hauser gave me a tour of the ship and answered many of my questions. She explained how the national flag is hoisted to the highest position when the ship gets underway. Lieutenant Commander Hauser (right) and Ensign Anderson with the American Flag. One of the most important things I learned about today was safety! Think about why we have fire and evacuation drills at school…It is important to be prepared just in case something happens! 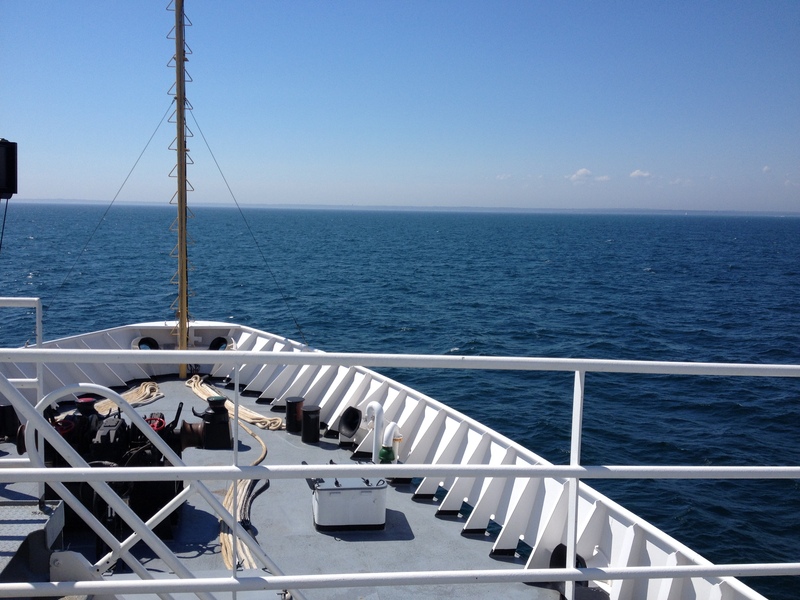 It is exactly the same here on the Thomas Jefferson! I was part of a group that was trained on safety issues like fire, abandoning ship and what to do in any emergency. Ensign Perry walked us around the ship and showed us where life jackets, fire extinguishers, steel-toed shoes and hard hats are located. She also taught me how to get in and out of a survival suit. 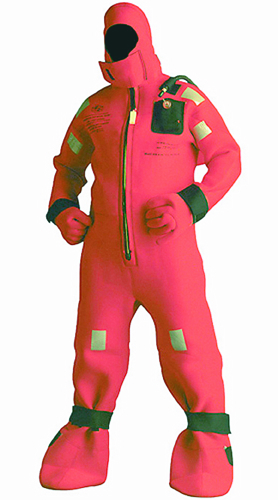 Survival suits (also called “Gumby suits”) are made of foam rubber and are designed to be watertight. They help protect against hypothermia and can keep a person alive and floating until rescuers can find them. 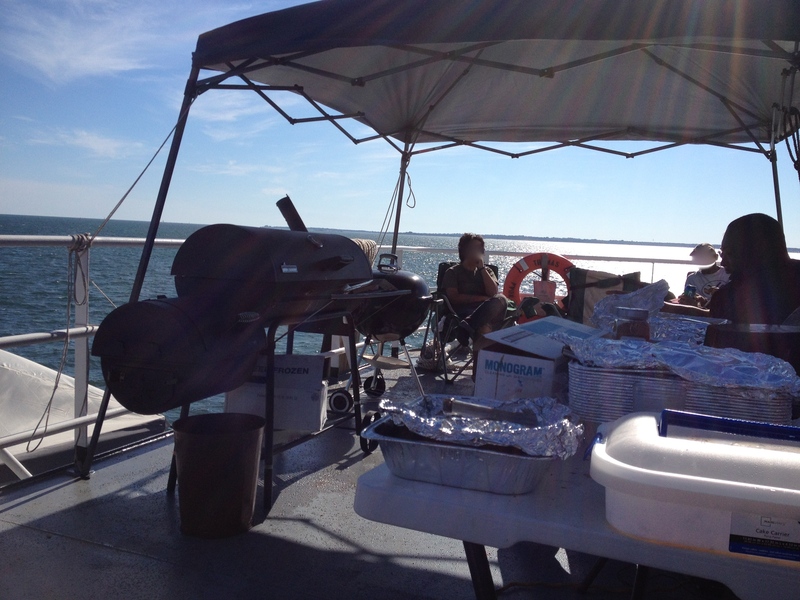 For dinner, everyone on board came to a cookout on the deck near the bow of the ship! Delicious burgers, hotdogs, chicken, sausages and brisket were grilled up and enjoyed. What a great setting for some terrific food! Think about what you know about President Thomas Jefferson…What does he have to do with the Atlantic Ocean? 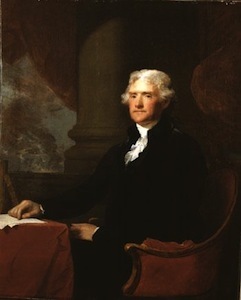 As most people know, Thomas Jefferson was a writer, an artist, an architect, a statesmen and a lawyer. He was also one of our most scientific presidents. In 1807, President Jefferson established the Survey of the Coast to produce the nautical charts necessary for maritime safety, defense, and the establishment of national boundaries. 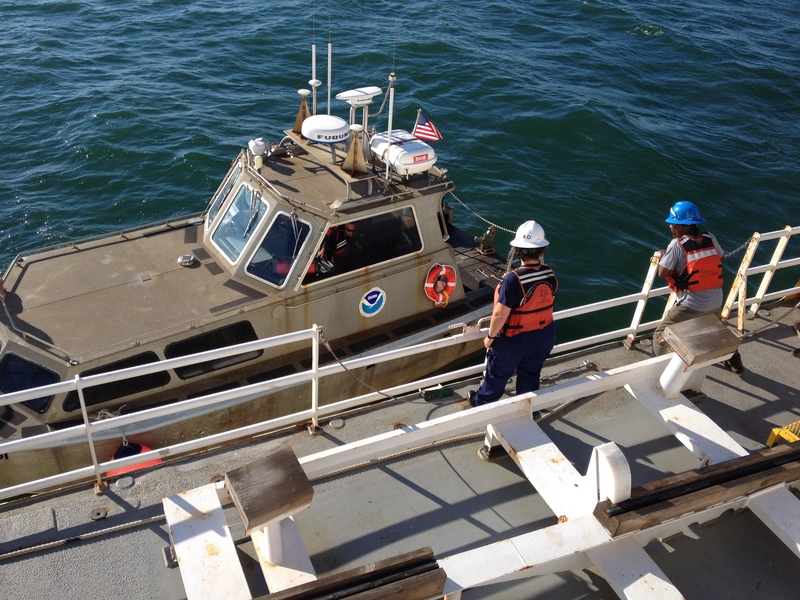 The United States Coast and Geodetic Survey is the oldest scientific organization in the U.S. Other agencies that became part of NOAA in 1970 include the Weather Bureau, formed in 1870, and the Bureau of Commercial Fisheries, formed in 1871. Much of America’s scientific heritage resides in these agencies. They brought their cultures of scientific accuracy and precision, stewardship of resources, and protection of life and property to NOAA. 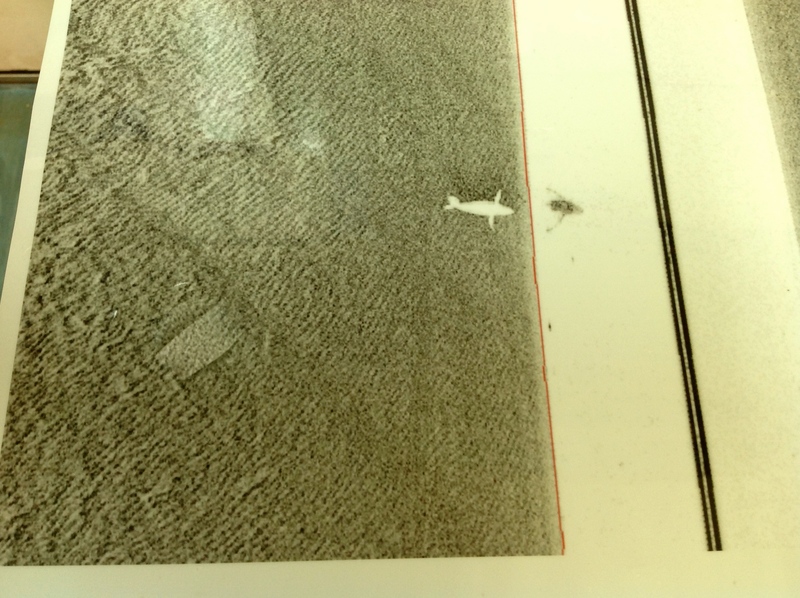 The first Picture of the Day shows a side sonar “fish”. 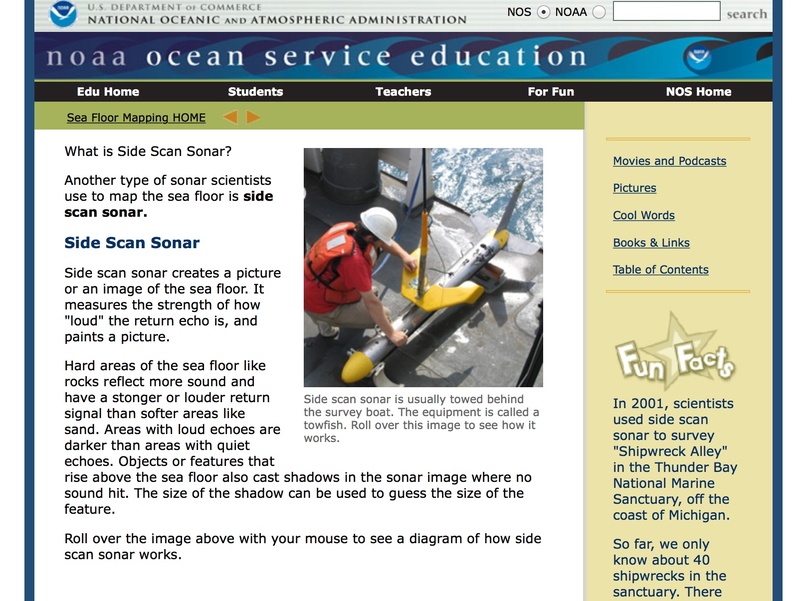 Here is some information about side scan sonars. Go to this website to find out more! What do the letters XO mean on the hardhat of the person in the center of this picture? Look carefully…What do you think? What do you see in the scan? Thanks for reading this blog entry! 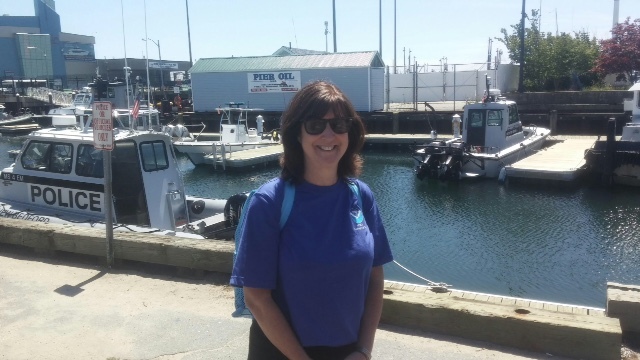 This entry was posted in 2015, Jeanne Muzi, NOAA Ocean Service, NOAA Teacher at Sea and tagged Hydrographic survey, Jeanne Muzi, LTPS, NOAA, NOAA Ship Thomas Jefferson, NOAA Teacher at Sea, seafloor mapping. Bookmark the permalink. What an awesome opportunity! Can’t wait to hear all about it! Thanks, Mrs. Valentino! Hope you’re having a great summer! Wow! You are amazing! So proud of you! We love learning along with you. Thanks for writing, Mrs. Sheffield!! You made me smile!! What a great experience! As you learn and share, I am also learning. Thanks for reading, Mrs. Robbins! See you soon!